After breaking out of that symmetrical triangle formation the other week, EUR/JPY established stronger upside momentum by forming an ascending channel pattern. 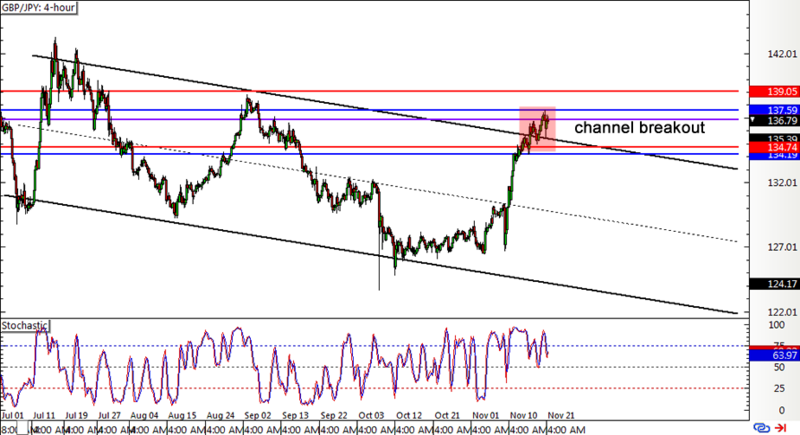 Price is currently testing the channel resistance and might be due for a correction since stochastic is indicating overbought conditions. More buyers could be waiting at the channel support around the 115.50 minor psychological level and PWL, which also happens to be a former resistance area. 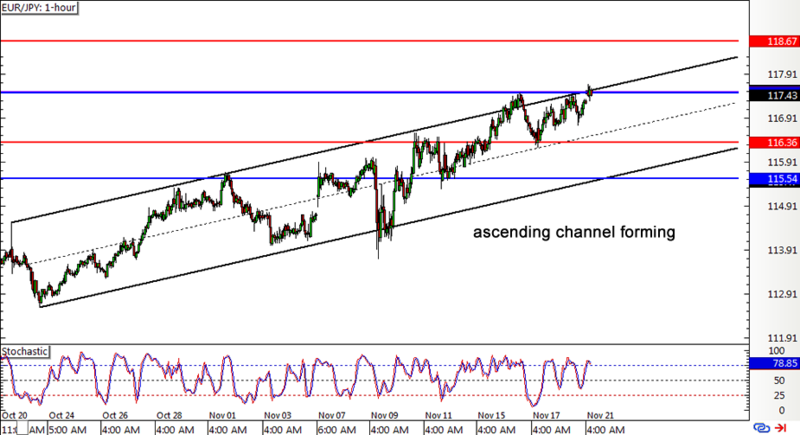 Not even the top of the descending channel visible on the 4-hour chart was enough to stop pound bulls from charging, as GBP/JPY broke past the resistance last week. A combination of risk-taking and improved sentiment in the U.K. enabled the pair to advance towards the 137.00 handle. Stochastic seems ready to head south, though, so price could retreat to the broken channel resistance near the bottom WATR and PWL before resuming its climb. In the battle of European currencies, sterling seems to be faring better than the shared currency, as the latter has been weighed down by political risks stemming from the French elections and Italian referendum. 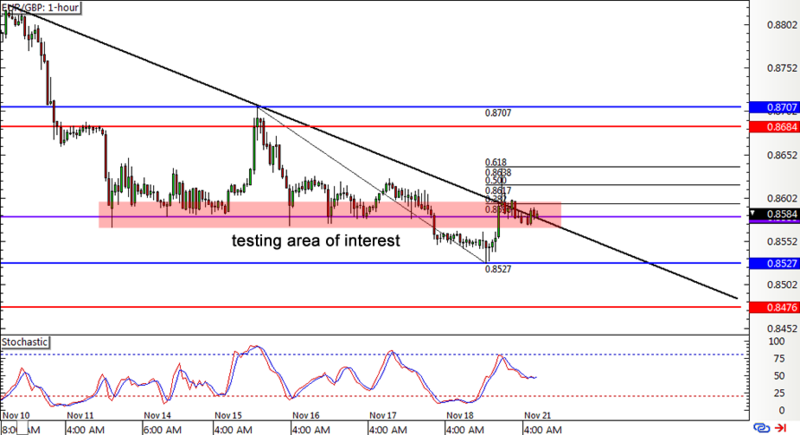 EUR/GBP is trading below a descending trend line on its 1-hour time frame and is currently testing the area of interest at the .8600 major psychological mark and 38.2% Fib. If this keeps gains in check, the pair could drop back to the PWL or lower.